Is the Chevrolet Camaro ever coming to the Philippines? It's time to erase your doubt. The Covenant Car Company, Inc. (Chevrolet Philippines), the new distributor of the American car brand in the local market, has confirmed it will soon be selling the popular muscle car. "It's definitely a go," said Atty. Albert Arcilla, Chevrolet Philippines managing director and chief operating officer. He added that Chevrolet Philippines is already firming up plans for the introduction of the Camaro in the next few weeks. "We're bringing in both the V6 and the V8," Arcilla said. While Chevrolet Philippines has yet to reveal the selling price of the much-awaited Camaro, marketing director Lyn Buena said in the January/February 2010 issue of Top Gear Philippines "that the V6 could be priced at less than P3 million." 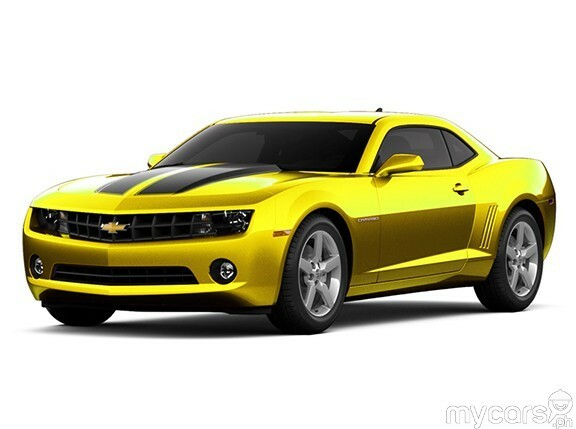 The soon-to-be launched Chevrolet Camaro is the second offering of the new distributor of Chevy cars in the country. Last month, Chevrolet Philippines launched the all-new Chevy Cruze, the newest car in the Philippine compact sedan market.